Very powerful electric air horn with deep and loud sound. 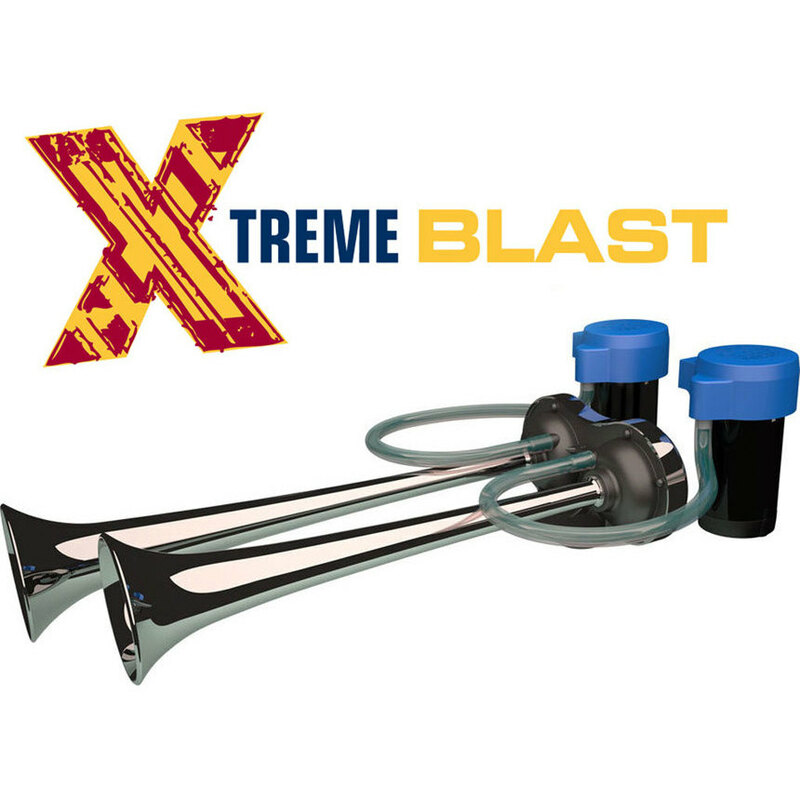 Xtreme Blast is the most powerful two tones horn of its category. The use of two electric compressors, in fact, always ensures a proper level of sound pressure for each of the two acoustic trumpets. Highly versatile and compact, it can be easily installed on any type of vehicle. 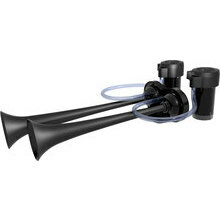 The horn is composed of two heavy duty compressors and a high resistance nylon base with two chromed metal trumpets. It is supplied with relay, air hoses and fixing hardware. Compressors and an high resistance nylon base with two chromed metal trumpets. It is supplied with relay, air hoses and fixing hardware.